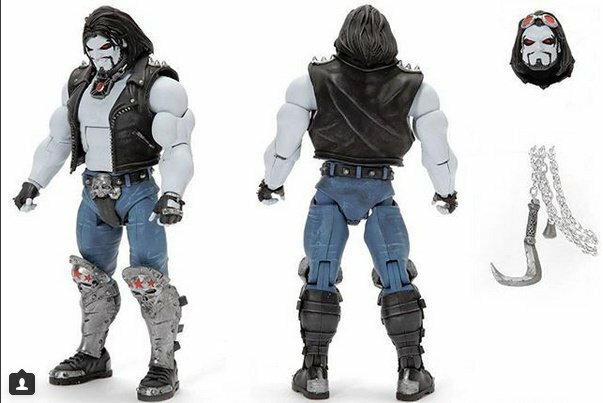 Produktinformationen "DC MULTIVERSE LOBO WAVE KOMPLETT-SET"
Celebrating classic DC comic books, these highly detailed 6-inch tall DC Comics character figures have 20 points of articulation for dynamic posing and action moves. Richly authentic to their parallel inspirations, they will delight all those seeking collector-quality action figures in the 6-inch scale. 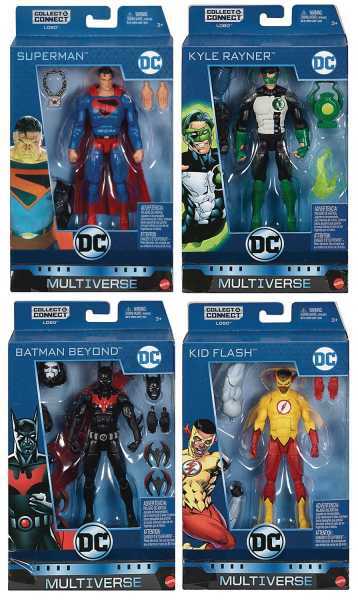 Collect Kyle Rayner, Batman Beyond, Kingdom Come Superman, and Kid Flash, and connect the pieces to all to build an exclusive Lobo figure. Weiterführende Links zu "DC MULTIVERSE LOBO WAVE KOMPLETT-SET"
Kundenbewertungen für "DC MULTIVERSE LOBO WAVE KOMPLETT-SET"